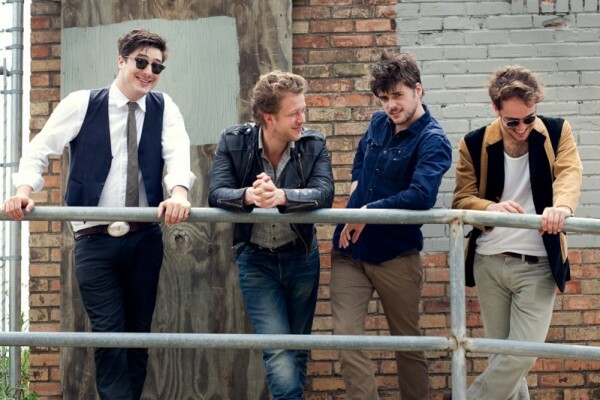 So the news earlier last week was that the beloved banjo boys of Mumford & Sons were abandoning the banjo and taking the new music that they were working on to the shop and adding a little bit of edge, which means they were going electric. As blasphemous as it seemed to fans, they weren’t kidding. Today, the band released “Believe” which poses as the first single from Wilder Mind, which will be their third album to date. “I don’t really know if I believe,” Mr. Mumford sings throughout the song, and honestly, I don’t either. The sound is so polarizing and different for the band. But it’s still early, and we have yet to hear anything else. It sounds like the band pulled a page right out of Coldplay’s book. Either way, the band has a big summer, including performances at Bonnaroo and Reading & Leeds, so they’ll surely be supporting the new record and playing these new tracks. Wilder Mind is set to be released on May 4, via Glassnote Records. Check out the single below and let us know what you think.